Excerpt from a manuscript recently discovered in an attic. Which just goes to show you can leave it too long between bouts of spring cleaning. April 17 — I bestirred at the cracke of dawn, when ye missel thrush in the garden heralded in the morning. Yon bird must have wet ye nest because it was up & about even before ye sun had crept over thee horizon. I must go to ye hardware shoppe & get plugges for mine ears before tomorrow. I settled at thee breakfaste barre to dine on a simple repast of bacon, egges, bak'd bean and fry'd bread. 'Tis food of ye goddes. As I ate, ye scruffy urchin from the newsagent cycled past & lobb'd ye paper at me. It missed mine head by an inch. Next time, I will get yon little baskit with a garden hose. Thee News of ye Birds prov'd to be as full of marvels as I could wishe. Ye correspondents had abandon'd their deskes in the Street of Shame to roam far & wide. They had illustrated their travels with colour'd images of finest quality. Amila of Gallicissa wrote of his journey through Sinharaja on that jewel of thee Indian Ocean with ye Field Ornithology Group of Sri Lanka. David Ringer of Search & Serendipity observ'd shim'ring gems in ye cloud forests of Costa Rica. From Northern Ireland, Peregrine of Peregrine's Bird Blog voyaged to Namibia, where he soughte dune larks among … you get thee picture. And if you do not, you can get it here. I read also with great delighte of the strange and wonderful birdes to be found across ye Great Ponde as that turbulent bodie of water is oftimes call'd. Instead of searching for ye Fount of Youth, Pinguinus of Great Auk — or Greatest Auk marveled at ye birds and creeping things in Palm Harbor, Florida. New York also prov'd popular with the correspondents, some of whom actuallie dwell there, I believe. Patrick of Hawk Owl's Nest went birding with 10,000 Birds or three Men (take your picke). 10,0000 Birds or four Men and one Lady immortalis'd their birding in rhyme. This arithmetic is doing mine head in. Further north, Clare of Ye House & Other Arctic Musings played follow thee leader with a raven. And to the west, Max, ye Apartment Biologist shared the weekend highlights in Oregon. Susannah, thee Wanderin' Weeta of British Columbia, was beguil'd by crows. I read with joy about ye adventures of Drew of the Nemesis Bird as he sought ye Western Tanager in Pennsylvania. Did he find it? The answer is here. Summer of the Naturalist Notebook took us out to ye Rio Grande and surrounds to watch thee birds and other life. Rob of the Birdchaser was interview'd by Howard Cosell, a manne who is no longer with us. In fact, he has not been with us for 13 years so I am suspect of ye authenticitie of this article. Bard Heather Haley gave us poems about birdes, which are among her inspirations. John at Born Again Bird Watcher surpris'd us with images showing how even thee bright and bold can disappear into ye background. Meanwhile, about Washingt'n, John of A DC Birding Blog show'd us thee bright and bold getting ready for Spring. Now in Merrie Englande, thee harbinger of Spring is ye cuckoo. In America, it is ye yellow-bellied sapsucker according to Carolyn of Roundtop Ruminations. In the Great Southern Lande, where everything is upside downe, it is Autumne in Aprille. Trevor of Trevor's Birding wrote of ye fearful heat experience'd in South Australia, where ye birds and people suffered alike. Thee heat had pass'd when Duncan of Ben Cruachan Blog pepyed at birds in ye wetlands of eastern Victoria. He saw much more besides. Snail (whom I know well) wrote about ye black and white magpie geese, with their faces that only my mother could love. Many correspondents provid'd excellent images for readers to savour. Page 3 of thee News offer'd diff'rent birds indeed from Ye Sunne. These I can look at in front of thee maid and wyfe without fear of a rolling pin about thee bonce. Liza Lee Miller at It's Just Me reported a robin's greeting of thee morning. The Chenango Bird Blog showed us spring finches in New York. Left I on the News let us see a magnificent tricolour'd heron in Mexico. Thee correspondents confin'd themselves not to verse and photographic images but express'd their joy in Lego forme. This pileated woodpecker from ye son of thee DiPet house is alone worth ye price of ye newspaper. But it is not all beer & skittles in thee News of ye Birds. Some correspondents brought us sobering stories. Dan from Migration reminded us that our dealings with birds are not always positive. In Cyprus, falcon slaughterers receiv'd a meagre penalty. And Greg Laden asked what impact we might have should we feed the birds. 'Tis important that we remember that our interactions with ye natural world never pass without consequence. Let us ensure that we make the consequences good for both we & ye birdes. I stand in profound and humble awe. I once thought my own Oscar Wilde IATB to be the pinnacle of literary bird blogging carnivals but my hat is deeply doffed to this superb Pepys presentation. Well done indeed! 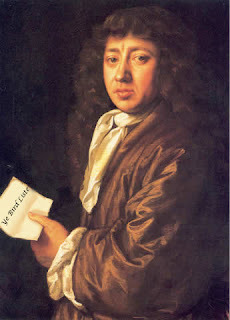 Long live Samuel Pepys! What a great literary bird carnival. Pepys rocks! If only my robin had been an English robin! It was a lot of fun to do! But it's getting more and more difficult to come up with an original theme. 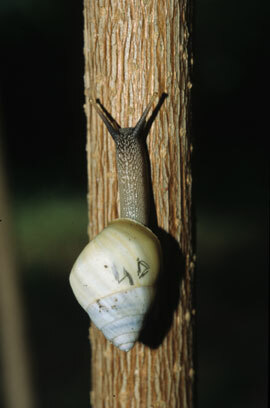 Geez Snail, yer dun a good job, but I bin 'avin' a bit o' trouble understandin' yer langwidge. If I keep at it I'll get the 'ang of it I s'pose, anyway, good on yer, I reckon yer earned a VB fer all yer work. I toyed with adapting Clancy of the Overflow, Duncan, but I couldn't quite make it work! One thing; I e-mailed you a link to my post, but it isn't here. Probably ended up in a time warp on its way to the 17th century. The post is, Just becawse. Pesky panhandling crows. I'm so sorry, WW, I didn't receive it. Will edit to add. These time machines get troublesome at times. It's excruciating, isn't it, D? Most hearty felicitations on a well-rendered carnival! Oh, wow - very well done. Thanks for hosting. Excellent job! You have a new reader.